Hungary was led by a cold-hearted ruler: Matyas Rakosi. Many Hungarians hated him. In June 1956 students demonstrated against Rakosi. USSR installed new leader: Erno Gerro. 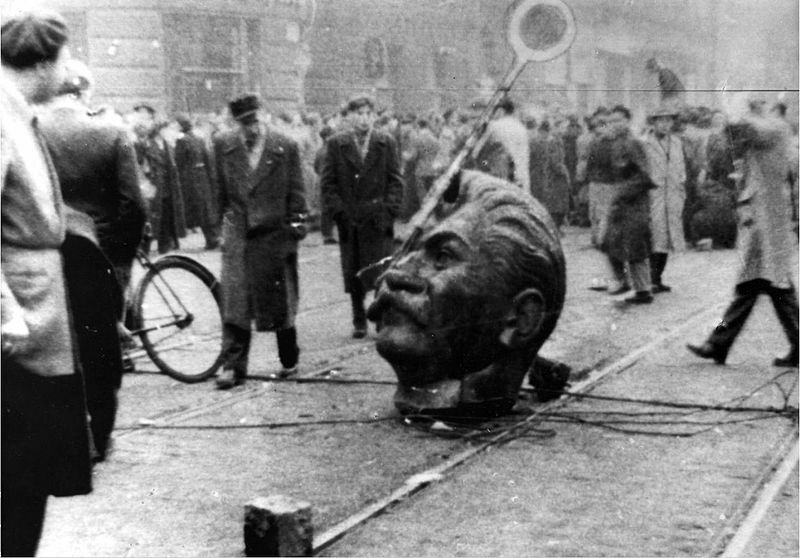 Demonstrations continue: Communist symbol cut out of Hungarian flag; statue of Stalin pulled down. Several thousands of soldiers leave the Hungarian Army to join with Nagy. Nagy begins to make reforms on free elections, courts, private ownership, leaving the Warsaw Pact and declares Hungary neutral to the Cold War. Khrushchev is against intervention in Hungary but cannot accept neutrality. Thousands of Hungarians were killed. 200 000 Hungarians flee as refugees. Nagy is executed. Does the Hungarian Uprising show strengths or weaknesses of the USSR’s control over Eastern Europe? The USSR had to enforce its will on Hungary – Khrushchev had to send in troops. What happened in Czechoslovakia, 1968? In 1945, the USSR had been Czechoslovakia's hero, liberating them from Nazi oppression. The Red Army was met with euphoria as the locals joined hands with their Russian liberators, and flushed the Nazis out of their country. By 1968, the liberators had become the oppressors. High prices, no economic freedom and heavy censorship had led to great satisfaction. The USSR had outstayed her welcome. Demonstrations began. Novotny, worried, appealed for help from the USSR. Breznev ignored him and allowed a new government to form under Alexander Dubček. Spurred on by the people, he launched the 'Action Programme' which proposed sweeping reforms in society and economy. The 'Action Programme' proposed an introduction of market workings in the country, as well as liberalization of the press. Discontented press members jumped at the opportunity and began furiously pumping out anti-government rhetoric that had been contained for years. Poets, authors, illustrators all joined in... this became known as the Prague Spring. The USSR began to get uneasy. Breznev remembered Hungary's attempt at freedom. Dubček was summoned to Moscow in an attempt to slow him down. He was quizzed about rumours of a new Czechoslovakian constitution, and Red Army tanks rolled to the border to show how serious the USSR was. Other East European leaders began squirming at the idea of widespread reform. Breznev decided to talk face to face with Dubček to sort it out. 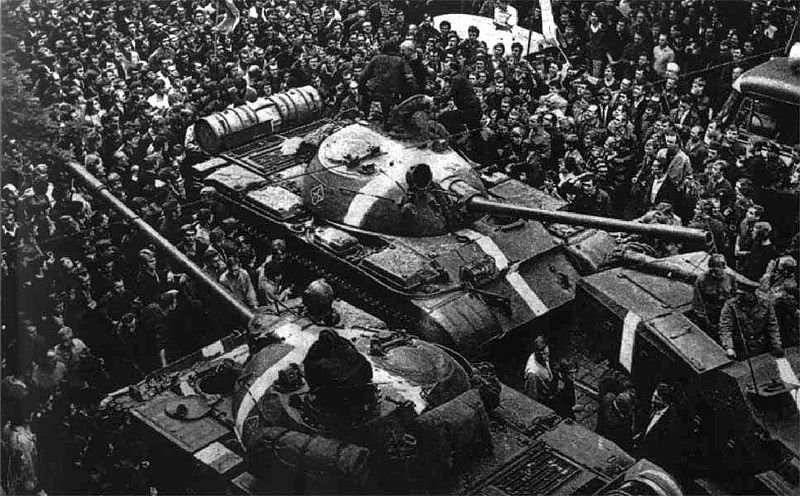 Unknown to him, Breznev had summoned the might of the Warsaw Pact member's armies, and the dark storm of war began to gather beyond Czechoslovakia's shores. The USSR then took the world by surprise, when on 21 August 1968, they launched a major miitary offensive against 'capitalist conspirators' in Czechoslovakia. 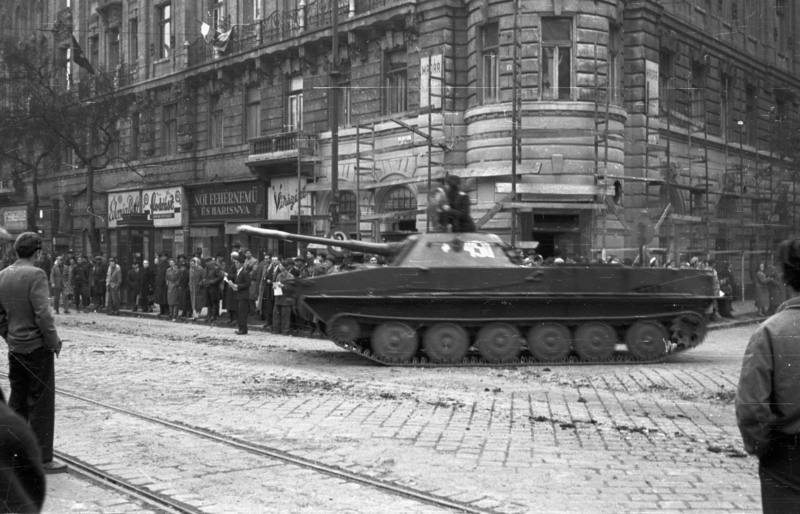 Thousands of tanks moved accross the border and fighting erupted in the streets of Prague. Came as a result of a terrible economic crisis in 1979—soaring meat and bread prices. What were the events in Poland? Poland and the USSR had always had an uneasy relationship, dating back to the Nazi-Soviet Pact, and before. As one of the first countries to be encorporated into the USSR, it was also one of the first to strongly rebel. Strange then, that an electrician - Lech Walesea - should be the figurehead of the uprising. In 1979 Poland faced severe shortages and spiralling food prices. Workers began to protest, starting at a shipyard in Gdansk. The workers formed together and formed a union, calling it Solidarity. 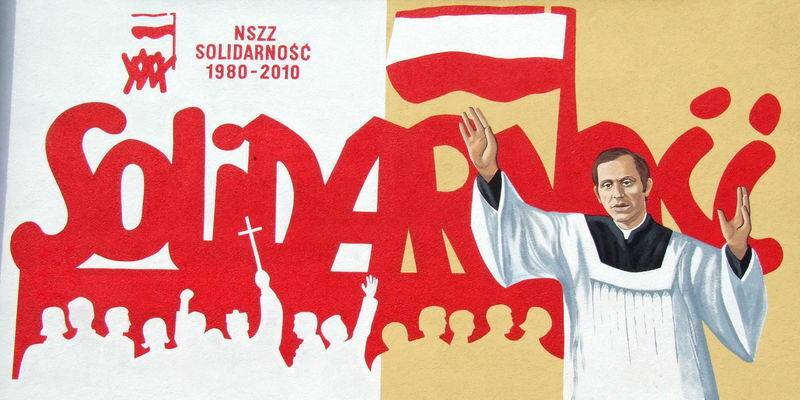 Joining with Catholic and anti-Communist forces, Solidarity soon gained enormous popularity - it had a third of all workers in Poland by 1981! With this came great power; the power to strike. Strikes occurred throughout Poland, and Solidarity became a symbol of resistance in the West. People wore Solidarity badges and Walesea became a cult hero. The Union was forcing the government into increasing reforms. Moscow looked on unapprovingly and then moved to crush the movement. The USSR appointed Jaruzelski who immediately declared martial law and began a full-scale crack down in 1981. Censorship increased, strikers were fired upon and by 1982 it was banned. From 1982 - 88 Solidarity moved underground, not daring to be open, and with Walesea imprisoned. It remained very popular though. It was with the arrival of Gorbachev's policies of perestroika and glasnost that Solidarity became live once more. Once again, terrible food prices - inflation was rising at over 30% in 1988 - caused strikes in Gdansk again. This time the government decided to negotiate, and Walesea (freed from prison) represented the Polish people. He managed to secure the legalization of Solidarity and gain an elections promise. Without pressure from Moscow, the Communists were powerless to say no. Why did the Polish government allow Solidarity to thrive? Strike - The government could not afford for the workers to strike as most of Solidarity’s members came from influential industries – e.g. shipbuilding. Mass striking struck at Poland’s heart. Non-political - It was not another political Party; 40% said they wanted to join it only to ‘make things better’, not to get rid of Communism. Popularity - Despite banning all phone-calls in the Gdansk area, and enforcing censorship, news of the Union spread quickly, especially through use of illegal radio and songs like ‘Mury’! Non-violence - The government was playing for time, getting ready to introduce martial law (rule by army). It hoped the movement would peter out and needed an excuse but Solidarity was non-violent. They did begin martial law shortly afterward. The West - The West gave it a lot of support. From Raegan to Thatcher to the Pope to NATO it received messages of support. People in the West bought solidarity badges and stickers. CIA secretly funded it. USSR couldn’t be seen to be too anti-Solidarity. Why did the Polish government clamp down on Solidarity in 1981? What were the consequences of Solidarity? Clamp down on Catholic Church—priests imprisoned. Underground Solidarity which reasserted itself upon break up on USSR—Walesa became first non-Communist President! Won the Nobel Peace Prize 1990. Plan B? – The USSR did not seem to have an alternative plan to their economy. People were no longer believing the slogans of the government. Under Stalin they had worked in fear or loyalty, now they did not care as there was nothing to work for. Afghanistan – USSR was locked in a costly battle in Afghanistan, which it was not winning. It was costing lives and money. Military spending was 25% of FDP by 1980s. Living Standards – these were at an all time low. Life expectancy was low, mainly because of alcoholism. Many Soviet goods did not work. Economy – the economy was in chaos. It was spending far too much on the arms race. GDP falling by 3-5% in 1990! How did Gorbachev change the Soviet Union? Peristroika (restructuring) – introduced in 1987. Freed up the command economy and allowed market forces to play a part. Profit-incentive was resurrected. Glasnost (openness) – this was the idea that foreign relations should get better. Withdrew Soviet forces from Afghanistan, emphasized international co-operation and responsibility, announced a new policy on eastern Europe which said they should be able to determine their own paths. Disbanded Warsaw Pact and COMECON. He met President Reagan 4 times too, discussing foreign policy and did not intervene when Bush invaded Iraq! ‘Towards a Humane, Democratic Socialism’ - document which allowed for criticism of previous Communist governments. How far was Gorbechev personally responsible for the collapse of the USSR? 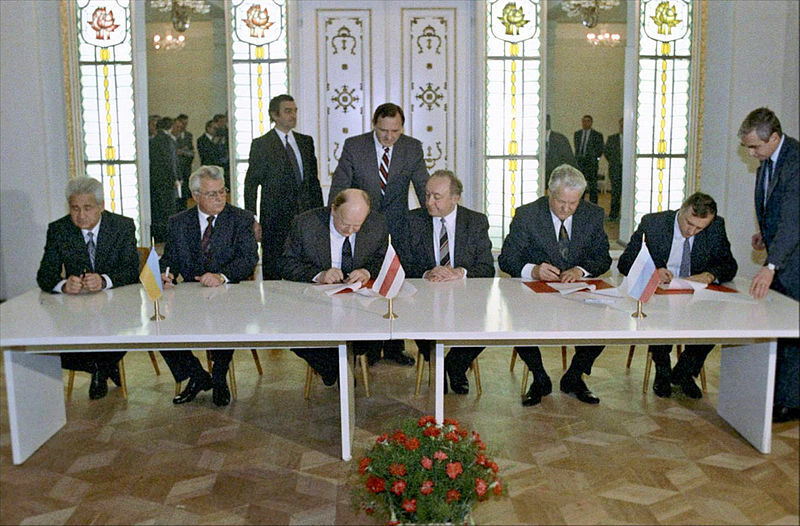 Gorbachev explicitly allowed Eastern Europe to pursue its own path : Glasnost (openness) - this led to revival of previous feelings (Prague Spring etc). It encouraged reform in Czechoslovakia 1989, and East Germany 1989-90. He allowed people to practice their religion and even met the Pope – this went against the firm rule of Communism. Reversed Brezhnev doctrine in Afghanistan. Alienated hardliners with his policies—they eventually stabbed him in the back with the coup of 1991. There was a lack of jobs, American farmers were 7 times more productive. How secure was the USSR's control over E.Europe? How did the USSR collapse? Uzbekistan, Tajikistan, Armenia Turkmenistan: Sept/Oct 1991 - These countries jump on the bandwagon before it's too late! Russia: June 12, 1991 - The failed coup against Gorbachev totally undermind him and elections were held. Boris Yeltsin won, and immediately took Russia out of the USSR. The centre folded.